Soft drinks have become part of our daily. Either its a normal get together, pizza part or a office party - Soft drinks are available everywhere. And most of the people drink it unaware of the health hazards of soft drinks. Here we bring some of the facts that one must know about soft drinks. If you read this article, you will stop drinking any soft drink. I am sure that most of you would like to drink water instead of soft drink. They work like a diuretic. To process high levels of sugar in soft drinks water from the body is consumed. To make the balance you need to drink 8-12 glasses of water for every one glass of soft drinks. Soft Drinks never quench your thirst. Constantly denying the need of water of your body can lead to Chronic Cellular Dehydration which weakens your body at the cellular level. This can lead to a weakened immune system and a plethora of diseases. Phosphates in soft drinks takes away vital minerals from your body. 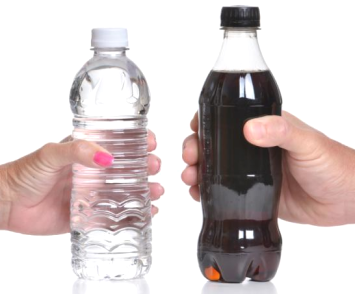 Soft Drinks are made with purified water that also leach vital minerals from your body. Lack of Magnesium can lead to Heart Disease, lack of calcium can lead to Osteoporosis and many other diseases. Vitamins cannot perform their function in absence of minerals in the body. Soft Drinks can remove rust from any metal surfaces. You can easily imagine what it's doing to our digestive tract and other organs. Soft drinks constantly weakens our metabolism. Soft drinks contain high amount of sugar. In worst cases it make our pancreas to produce high amount of insulin to balance that sugar. Such sudden elevation and depletion of sugar level and insulin level is called sugar crash, which leads to life long health problems. High amount of caffeine and sugar present in Soft drinks can shut down digestive process on temporary basis. During that time our body don't extract the energy and nutrients from food and just passes it through. When this condition occurs again and again, it affects our digestive system adversely. Our body also suffers from lack of nutrients and vitamins due to this phenomena. Some soft drinks contain Aspartame, which is linked to depression, insomnia, neurological disease and a plethora of other illness. Soft Drinks are EXTREMELY acidic (pH of about 2.5). It can easily eat a thin layer of Aluminium if its put in an aluminium can for a long period. High level of Aluminium is found in the brains of Alzheimer patients. Soft drinks not only harm us through aluminium cans, then also harm the surface of our digestive system through its acidic nature. Acidic waste of our body deposits on our joints aver the time. Body pH of cancer or arthritis patients is always found low compared to a healthy person. Low pH is always connected to sickness. If you are not satisfied by these facts then we have one more thing to tell. An Indian Yoga Guru "Ramdev" has started to call cold drinks / soft drinks as "Toilet cleaner". What can be worst than that. At least i am not going to drink any soft drink in future.